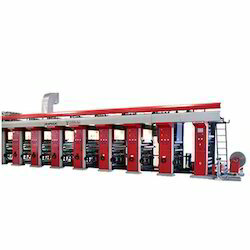 Manufacturer of a wide range of products which include rotogravure printing machine, rotogravure printing machines, eight colour rotogravure printing machine, rotogravure machine, gravure printing machine and rotogravure pvc printing machine. 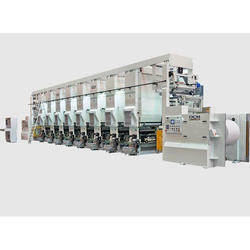 We are one of the leading manufacturers of Rotogravure Printing Machines, Gravure Printing Pressess, Automatic Printing Machine, Colour Printing Machine & PP Bag Printing Machine which is available at our door in the most affordable price range.We are one of the largest manufacturers and exporters of Printing and Packaging Machine. 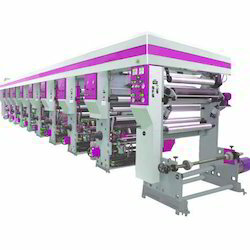 We are instrumental in offering Rotogravure PVC Printing Machine, PP Bag Printing Machine, Paper Printing Machines, Pouch Printing Machine & Rotogravure Printing Press to our clients. 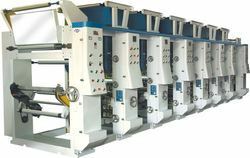 We are engaged in offering Rotogravure Machine , Foil Printing Machine , Paper Cup Printing Machine , Polythene Printing Machine & Rotogravure Printing Machine to our clients. These consumes minimum power and works efficiently. Widely used for the purpose of printing flexible packaging material, we offer Gravure Printing Machine and Foil Printing Machine etc.to our clients. These are extremely valued for their study construction, user friendly interface, durability and low maintenance. The offered machines are manufactured from high grade raw material that is sourced from some of the certified vendors of the market. 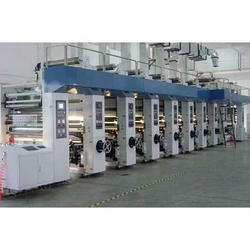 Our clients can avail these machines with super simplex unwind & rewind facilities, at market leading prices.